Estate planning – Our attorney provides a comprehensive analysis of each client's situation in order to draft the most effective documents. These may include wills, trusts, powers of attorney, HIPAA releases and more. Elder law/Medicaid planning – From drafting trusts and submitting applications to communicating with the Texas Health and Human Services Commission, Tawana Gray helps clients pursue Medicaid eligibility. Guardianships – Tawana Gray helps clients establish guardianships to make decisions on behalf of incapacitated adults and minor children. Probate – Our lawyer provides empathetic guidance to families throughout the estate administration or probate process, assisting with muniment of title, affidavit of facts concerning identity of heirs and more. Ever since childhood, Tawana Gray has cared about helping people solve their problems. Today, her role as an attorney gives her the chance to help others resolve some of the most challenging problems of life — those that involve the legal system. She graduated with honors from the Texas A&M University School of Law in 2004, giving her more than 10 years of legal experience. 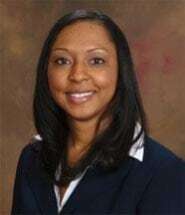 To schedule a free initial consultation regarding probate, estate planning, elder law, gurdianship, or bankruptcy, call the Law Office of Tawana H. Gray, PLLC. (A consultation fee is charged for other areas of the law.) Payment plans are available in certain cases. We look forward to assisting you.